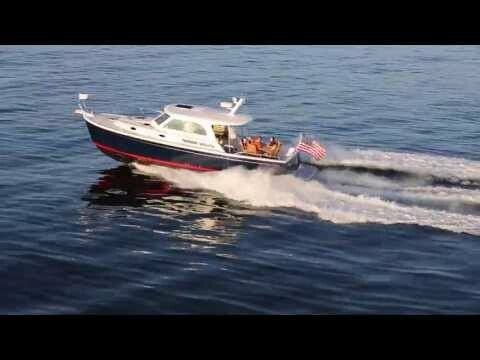 The Back Cove Downeast 37 model was created to allow the fullest enjoyment of the water. Built with a long single level cockpit sole stretching from the transom to the companionway this makes it perfect for every activity from fishing and swimming to entertaining or lounging. Storage is plentiful with many lockers and drawers provided. At the base of the companionway and in close proximity to the helm is a functional galley with microwave oven, fridge freezer, and deep stainless steel sink. To starboard aft of the master is an expansive head unit with separate stall shower. The perfect example of a yacht that combines practical features with usability and low maintenance. Compares favorably to Tiara 3600 Coronet and this has CUMMINS diesel for the power plant versus gas.